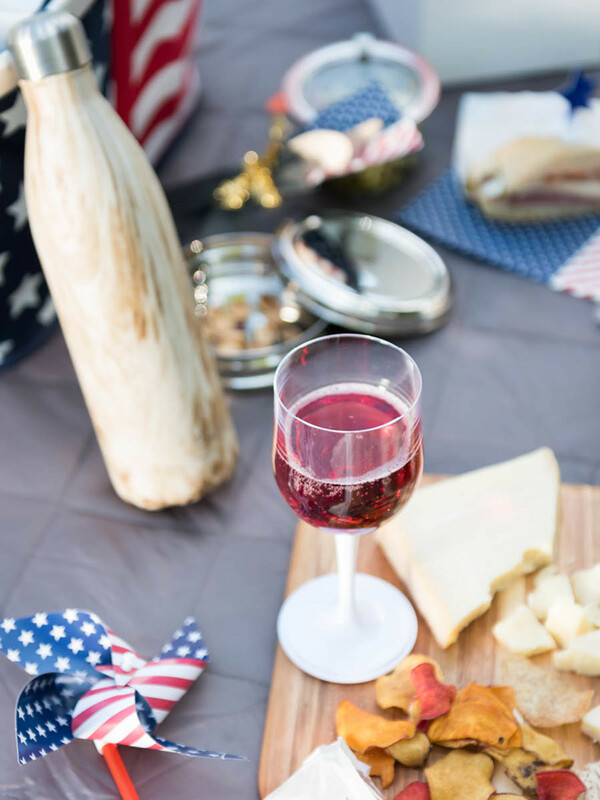 The 4th of July is just days away, and whether you're a big bash kind of celebrator, or a small get-together kind of player - it usually takes some planning to put together the perfect day. Between the food, making sure the food stays cool, the perfect meeting place, the people and the fireworks, it can all feel a little overwhelming. Not to worry, we've got you covered. 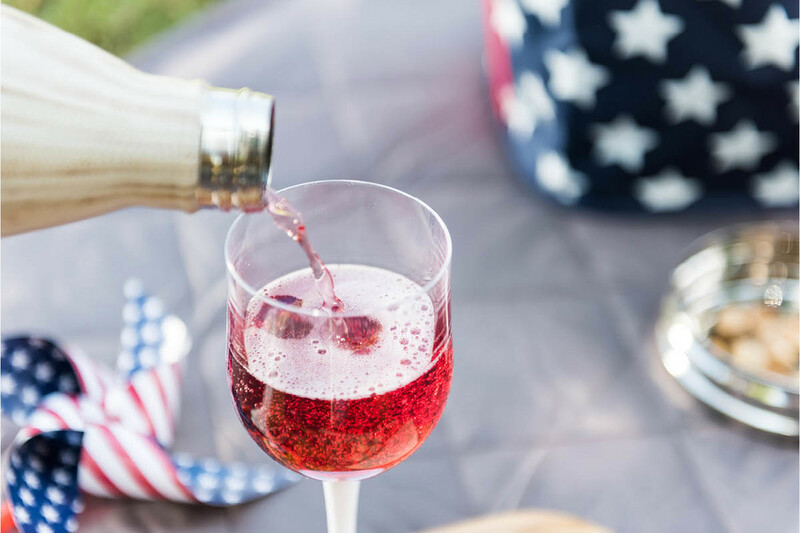 Check out a few of our quick ideas for throwing together the perfect 4th of July, party no matter how big or small you want your shindig to be! If this party is going to be outside, you're going to need a Monkey Mat. Ignore the name for a second and focus on just what makes it so great for any outdoor adventure. 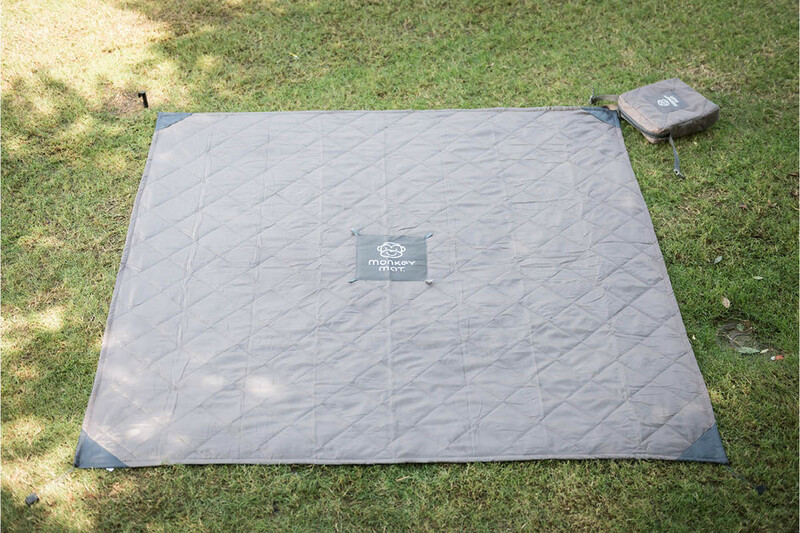 Padded for comfort but exceptionally lightweight, this mat makes the perfect picnic blanket, travel play mat, concert blanket or camping companion. Weighted corners keep everything in place even on windy days, and it's even easy to pack or keep in your car, thanks to a compact travel pouch. 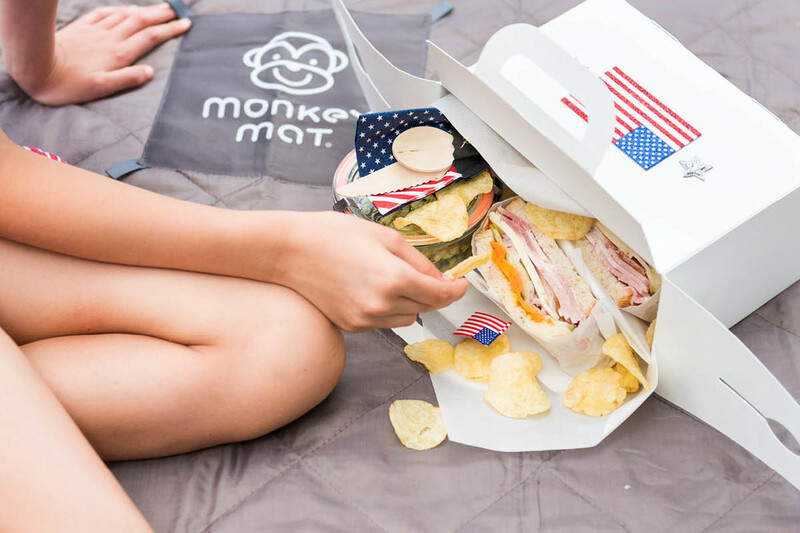 The Monkey Mat is the perfect canvas for a perfectly planned picnic. 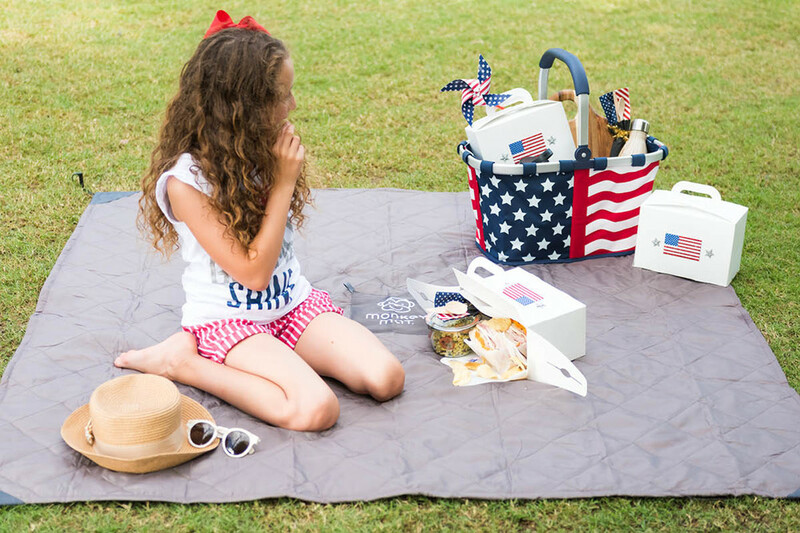 Make the party portable and patriotic with our reisenthel Market Tote in Stars & Stripes. A generous interior compartment makes it easy to take everything you need for a picnic, safely, while a soft rubber handle makes it easy to carry, and an interior zippered pocket keeps your foods secure. The sturdy aluminum frame and durable polyester exterior also folds flat for convenient, space-efficient storage once you've unpacked. 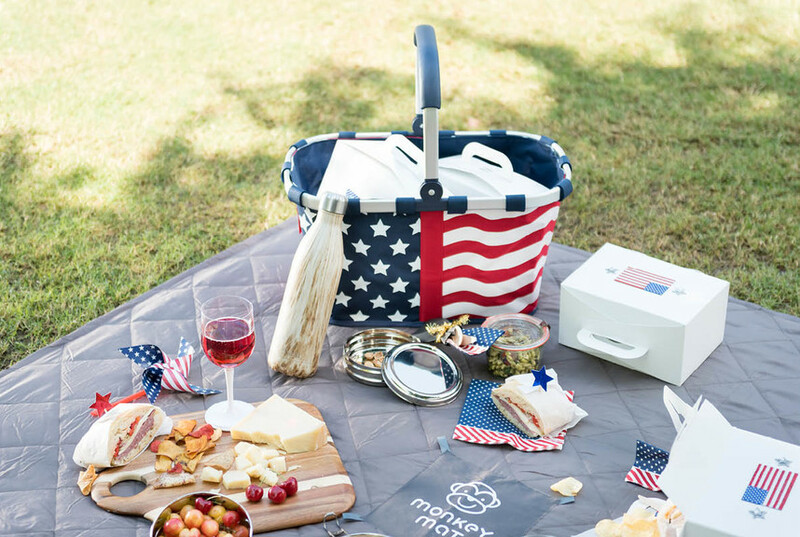 If you're trying to go above and beyond with the red, white and blue, think about customizing a lunch box for all the picnic-goers. Pre-packing lunches and snacks makes each person's meal feel more special and ensures that you have enough food for absolutely everyone. Personalize the front of our 1-Piece Lunch Box with your favorite design, or personalize with their name, then pack up your favorite treats for a picnic! Seal any spill-able items in our Canning Jars and pack our Natural Wooden Spoons and Knives for any tricky noshes. Create some drinks that can be toted and sipped in the same bottle with our Glass Milk Bottles. The vintage look adds a retro feel to any get-together and the lid that comes with each makes it easy to take to and from the event. 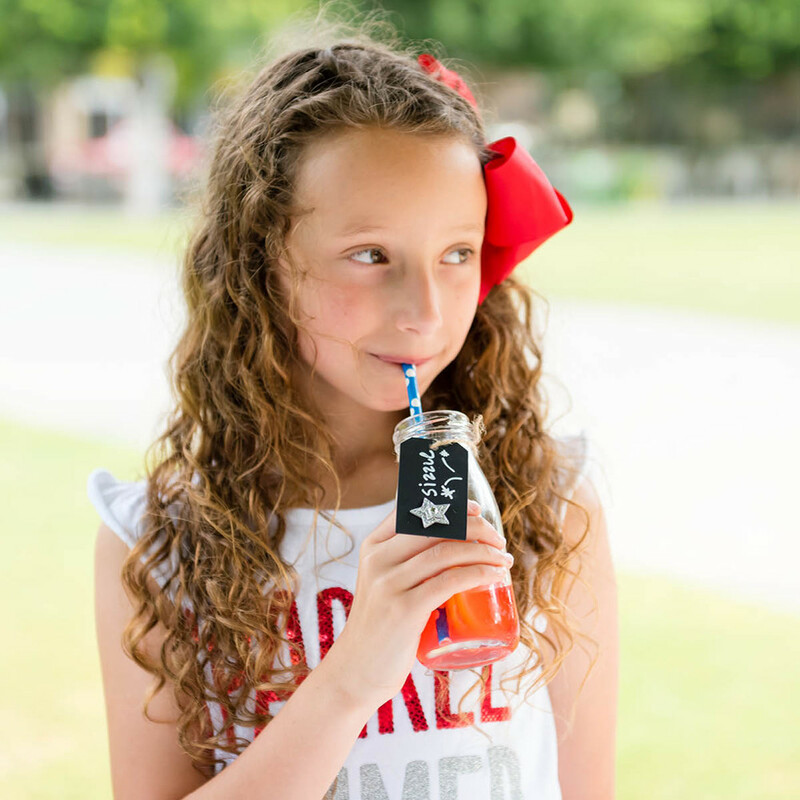 Personalize the bottle with a Dotted Paper Straw and a Chalkboard Gift Tag so everyone sipping knows which drink is theirs! Perhaps the most important part of any successful Independence Day party are the drinks. The trick is keeping them ice-cold throughout the day. Our S'well Bottle can help. It's made of double-walled stainless steel and keeps your liquid hot for 12 hours and cold for 24. With a screw-top lid, opening designed to fit ice cubes, and a smart no-condensation finish, you can truly take this water bottle into any environment. Plus, the teakwood finish adds a natural and stylish look to the classic reusable water bottle. 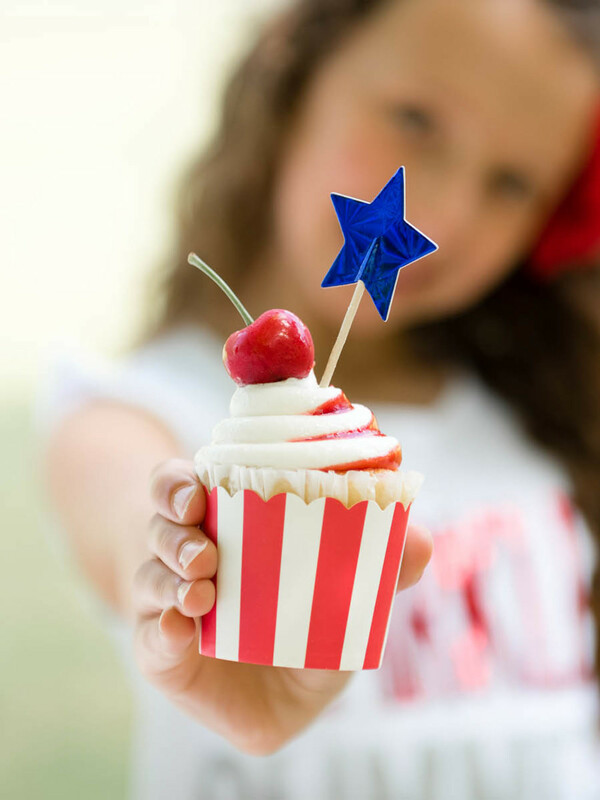 What would a 4th of July party be without patriotic cupcakes? The trouble is, it's almost impossible to get them anywhere without ruining the icing or crushing the cake. Use our Snap 'n Stack Cupcake Carrier to carry all of your cupcakes. It features two removable trays that are recessed to keep cupcakes in place. Plus, you can flip the trays over to store other baked goods, such as brownies, cookies - even a small sheet cake. 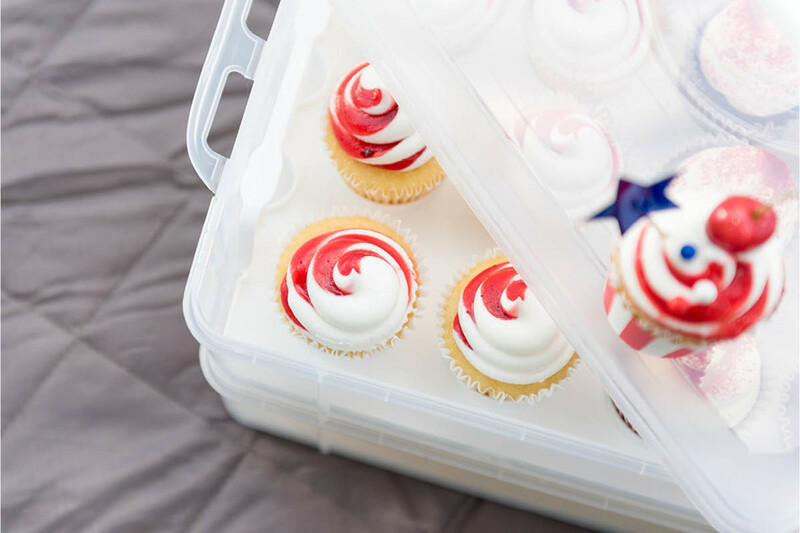 If you're into personalizing your own cupcakes, or just want to add a fun pop of color to store-bought ones (like we normally do), our Red Stripe Small Baking Cups fit the bill. You can also bake your cupcakes and muffins directly in these cups and decorate to your heart's desire! If you're throwing an outdoor 4th of July party with no pool involved, it's best not to kid yourself. It's going to be...hot. Take our Super Mini Fan to the party! 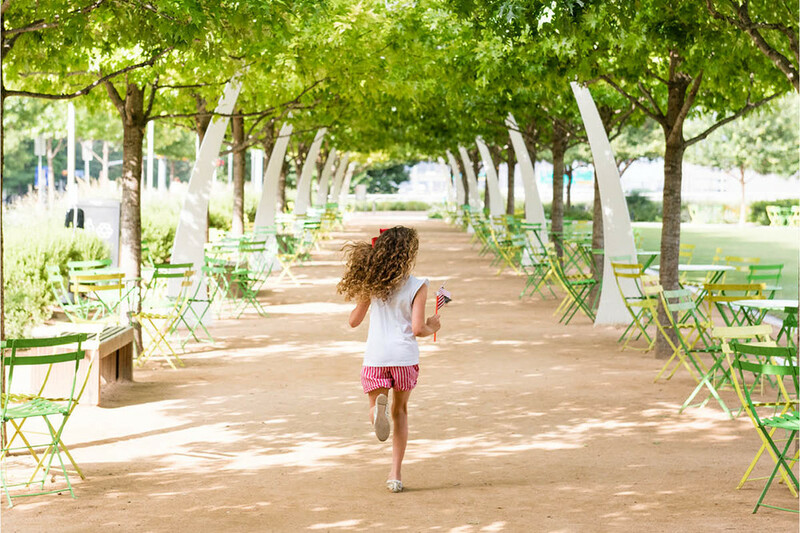 The soft plastic blade is quiet but powerful, and the design is exceptionally kid-friendly. 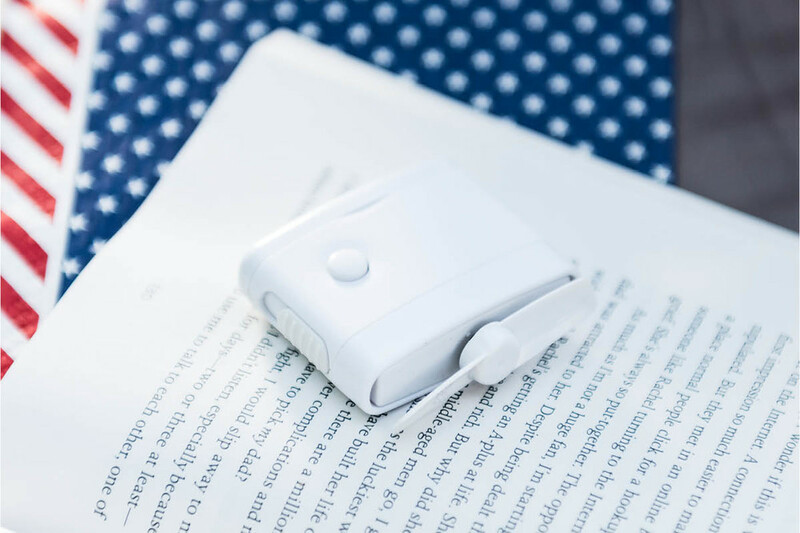 Sized to slip into a pocket or bag, it's discreet enough to use on a plane, the subway or even in the office, but especially on a hot day. We hope you've found a few quick ideas to make this party your best one yet. Have a safe, organized and wonderfully fun 4th of July!